With the help of this integral research, we have the tools and knowledge to address the knapsack problem. 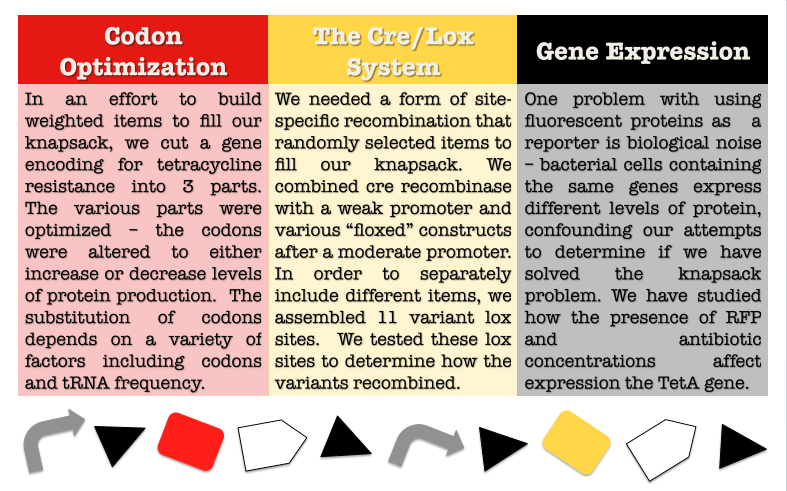 Looking to the future, we wish to further experiment with varying levels of codon optimization and gene placement. Finally, we wish to construct different modules that could solve the knapsack problem.